Sponsored by ODAKYU ELECTRIC RAILWAY . 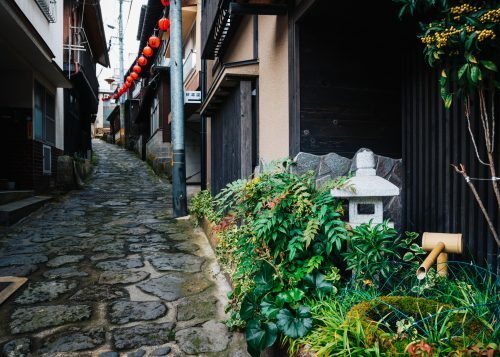 Hakone is one of the most popular escapes for both Tokyoites and visitors to the metropolis, and for good reason. 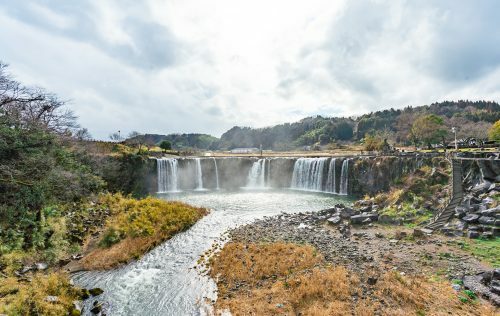 Directly accessible by the convenient Odakyu Limited Express Romancecar, this area is home to more than 20 hot springs and is known for its iconic panoramic view of Mount Fuji. 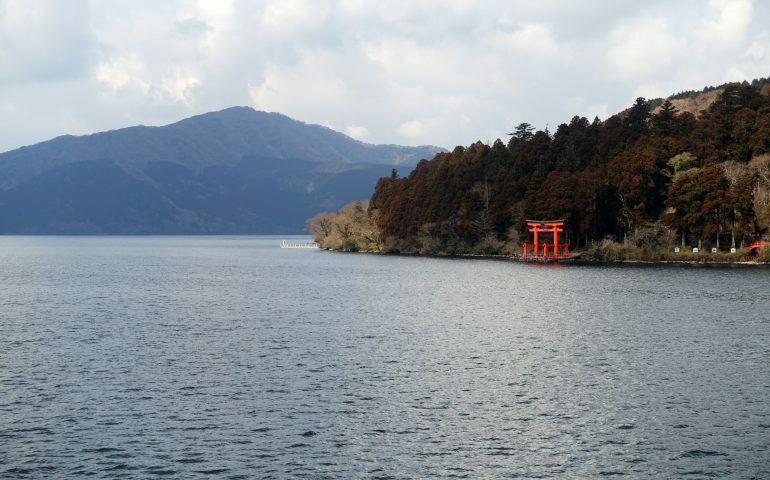 The source of the springs as well as volcanic Mount Hakone and Lake Ashi are located in the Fuji-Hakone-Izu National Park, offering a range of activities including lake cruises and open-air museums. 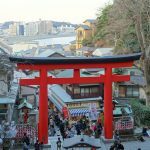 If you’ve been searching for a guide to making the most of a weekend trip to Hakone, look no further! 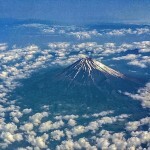 Winter offers the best chance for a clear view of Mount Fuji and the crisp, dry season has many days of blue skies. 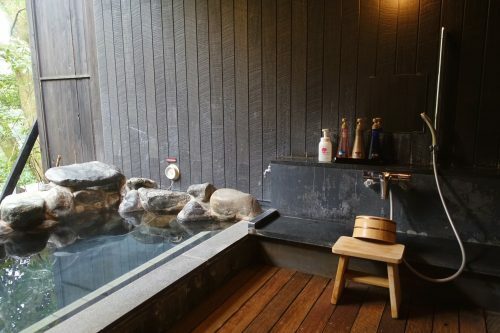 On my February excursion to Hakone, the day was chilly so I decided to warm up by soaking in a private onsen. 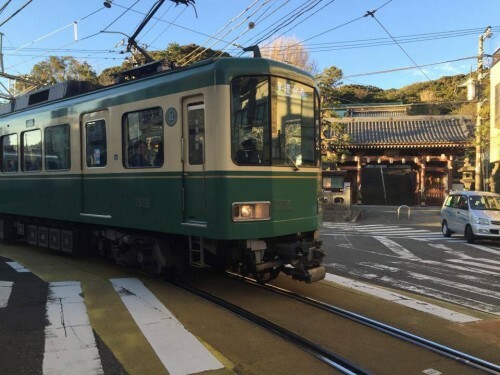 From Hakone-Yumoto Station there is a free shuttle to Hakone Yuryo, where you can onsen-hop around 5 public and 19 private baths. 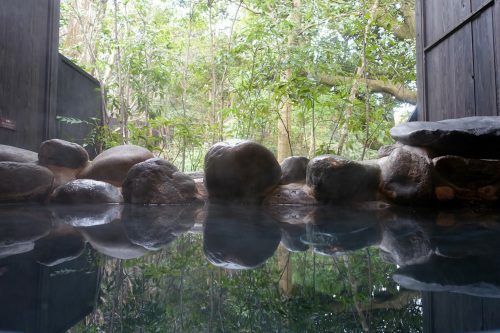 In one of many private open-air baths, relax in beautiful forests dense enough to hide you from prying eyes. Melt away your cares and worries in water that is not only soothing for your muscles, but also valued for its therapeutic properties. 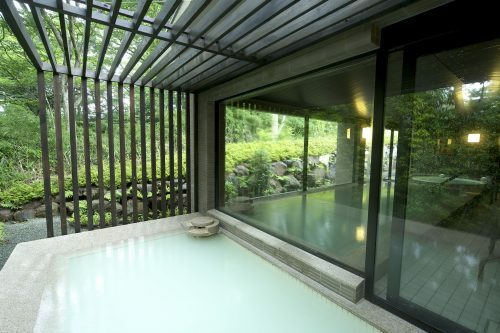 Each private bath has its own changing room and you can even slip into a kimono when you are finished and go enjoy an ice cream like a typical Japanese person! Besides the baths there is also a lovely resting space, a restaurant and of course an ice cream shop. 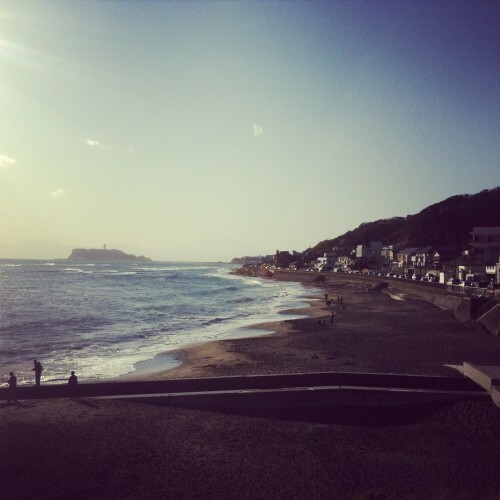 Once relaxed from your onsen experience, you will be fully recharged to enjoy the artistic aspects of the city. 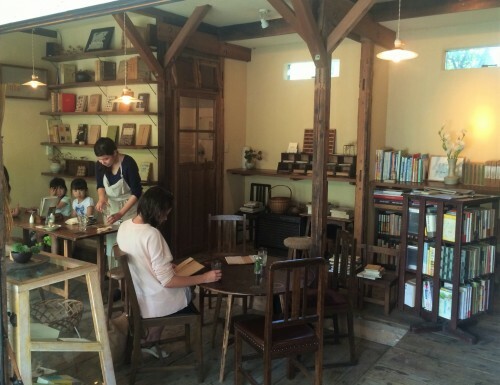 For the art lover, Hakone boasts many unique and interesting museums. 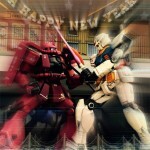 Hakone Museum of Art was a very nice surprise for me. 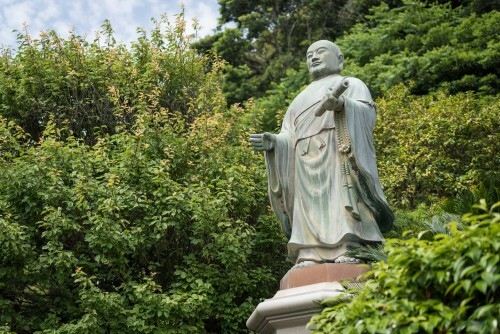 Known for its traditional Japanese moss garden, we walked through this lush site enjoying a moment of serenity and calm. 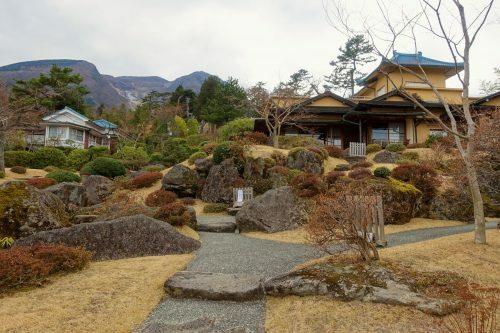 The museum also includes an exhibition of old Japanese ceramics dating back to the Edo Period as well as the Jōmon Period (-14,000 to -300 BCE). A remarkable permanent collection is on display and a special exhibition is also rotated through here. 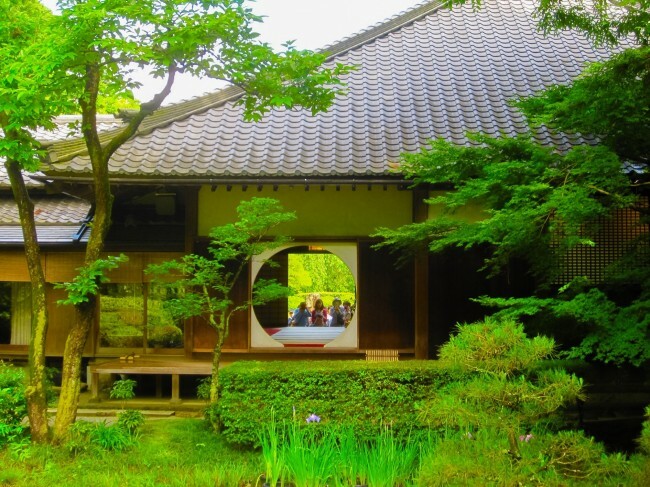 After being immersed in Japanese traditional art, discover modern art at the Hakone Open Air Museum. 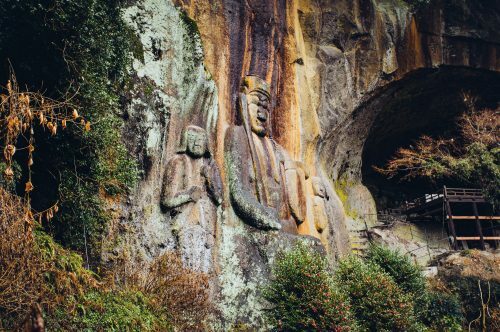 Established in 1969, it was the first museum dedicated to outdoor sculpture in Japan. 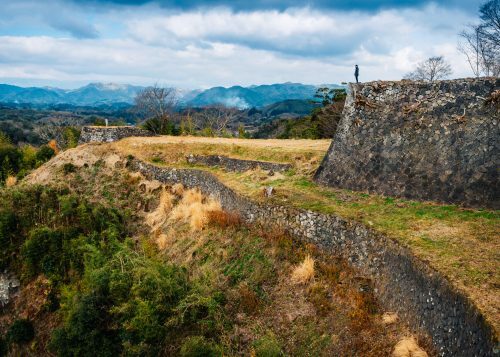 The site is over 70,000 square meters, framed within the views of the mountains in the background. The permanent collection includes works by Rodin, Henry Moore and Picasso. The museum also houses temporary collections from around the world, such as the imposing Miss Black Power as well as great interactive works. 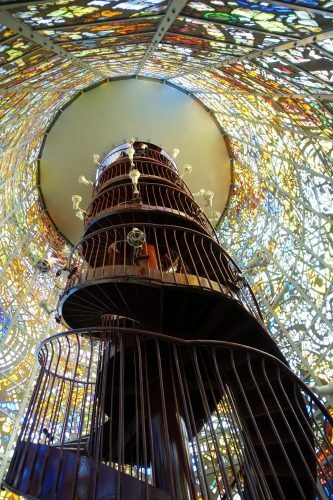 My favorite is the Symphonic Sculpture, within which you can climb up a long spiral staircase surrounded by stained glass which changes colors according to the intensity of the sunlight. It feels like being inside a kaleidoscope! 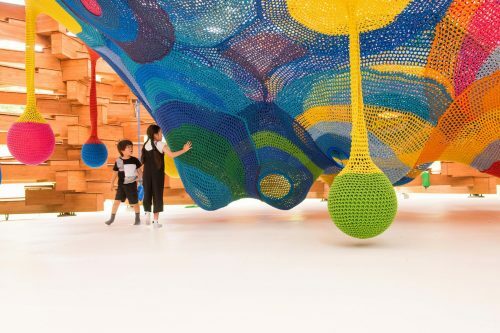 For travelers with small children, visit Toshiko Horiuchi MacAdam’s sculpture which is constructed of wood and houses a huge climbing structure knitted from brightly colored ropes. 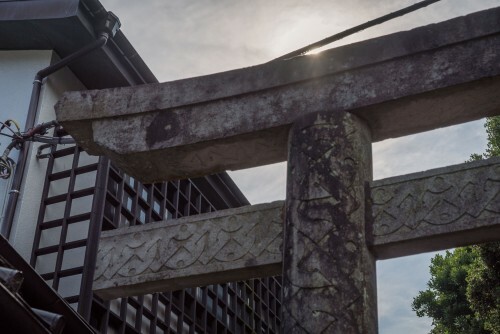 Get your camera ready to capture the wonder and enjoyment on your children’s faces as they play on and within this unique structure. A real wonderland for kids. 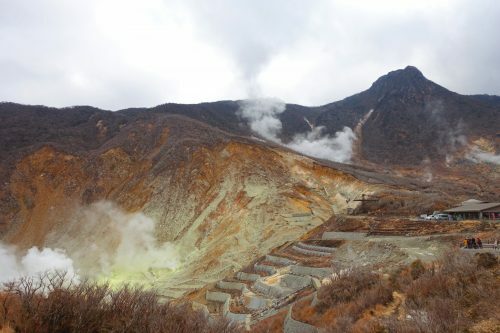 No visit to Hakone is complete without an up-close experience with one of the most powerful wonders of nature, the volcano. 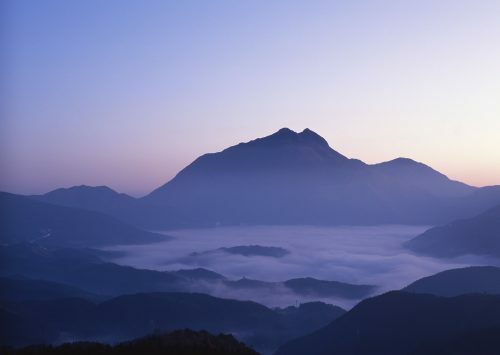 At the Owakudani viewpoint, not only do you get an outstanding view of Lake Ashi below, you will also see and smell the sulfuric vapors of Mount Hakone, see the boiling water and rising steam, and wonder at the environment laid bare over 3,000 years ago when the volcano had its last major eruption. 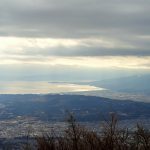 Owakudani is accessible via the Hakone Ropeway from the port of Togendai, a ride that offers breathtaking 360 degree views. 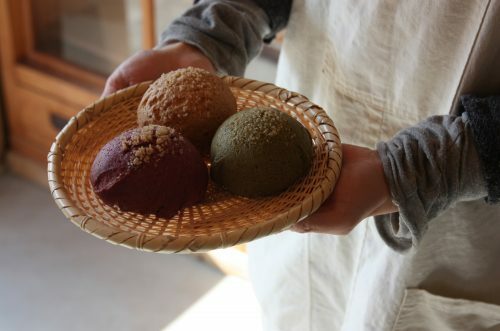 Don’t forget to try the “Kuro-tamago” here at Owakudani, an egg boiled in the natural hot springs around the volcano. The sulfur in the water turns the shell as black as charcoal, and you can only get it here. 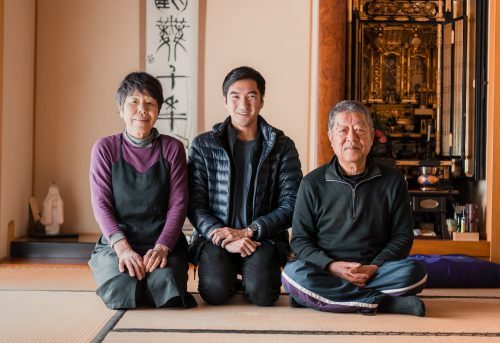 Locals claim that if you eat a kuro-tamago, you will add 7 years to your life. 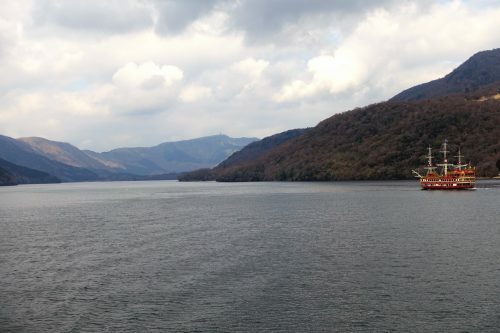 After enjoying the view of Lake Ashi from above, descend from the smoky volcano to the the fresh air aboard a Hakone Sightseeing Cruise, another symbol of Hakone. 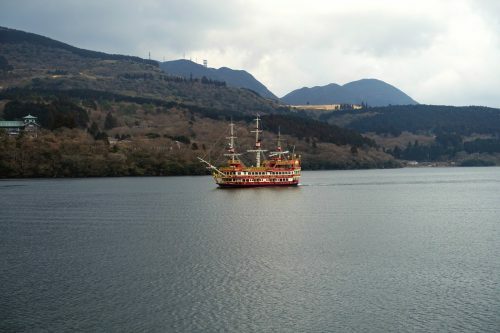 Cruise across the lake on one of the iconic pirate ships and enjoy forty minutes of bliss as you take in panoramic views and feel the refreshing wind on your face. 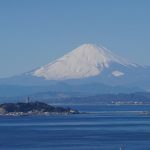 If you are fortunate, you may be treated to one of the best known views of Mount Fuji as you glide over the calm waters of Lake Ashi. 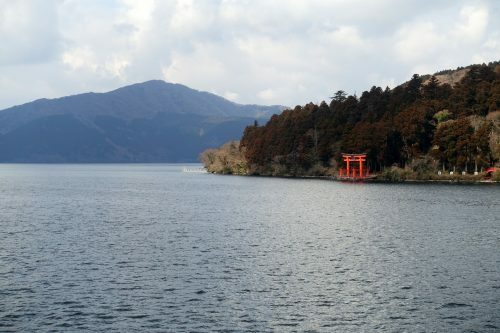 From the boat, look for the iconic Hakone Shrine as well, famous for its stunning red torii gate that stands on the lake. 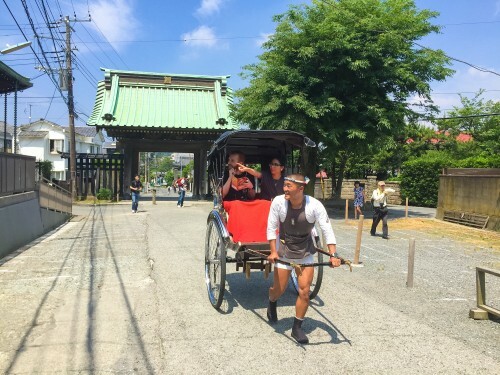 Get off at Moto Hakone Port and head to the shrine for 15 minutes on foot. 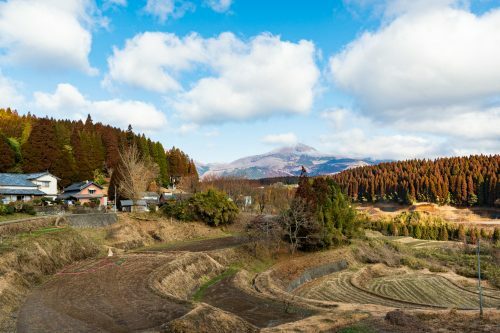 You will first ascend a series of steps lined with huge cedars before reaching the main buildings nestled in deep forest. 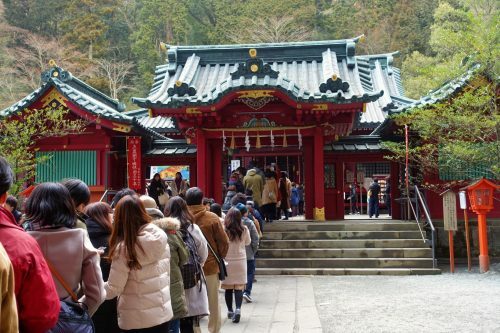 For more than 1,250 years, Hakone Shrine has been the shrine dedicated to the Hakone Okami (gods), which are known as Ninigi-no-Mikoto, Konohanasakuya-hime, and Hoori-no-Mikoto. 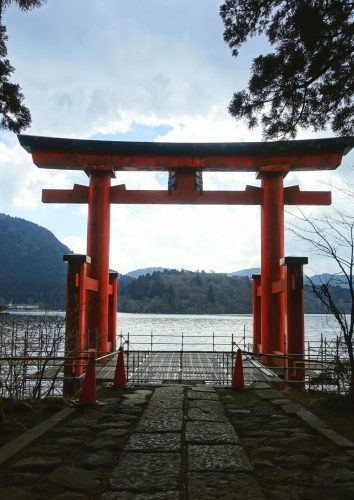 Before leaving, visit the edge of the lake to witness the mystical atmosphere that emanates from the torii which seemingly floats on the surface of the lake. 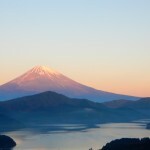 With a full day behind you, it’s time to retire to a luxurious hotel for a night in Hakone. 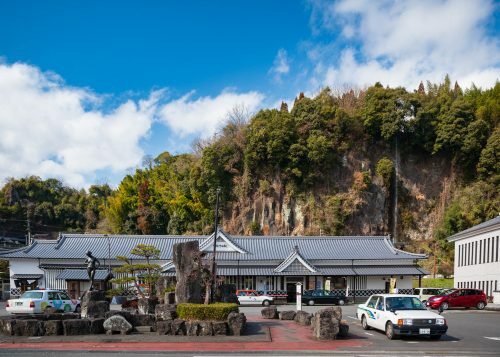 The Odayku Highland Hotel, conveniently located in central Hakone, which can also be accessed directly by bus from Shinjuku. This spacious property is surrounded by large gardens as it used to be a residence. In winter, you will probably enjoy the view from the large windows of the living room while warming up with a hot beverage. 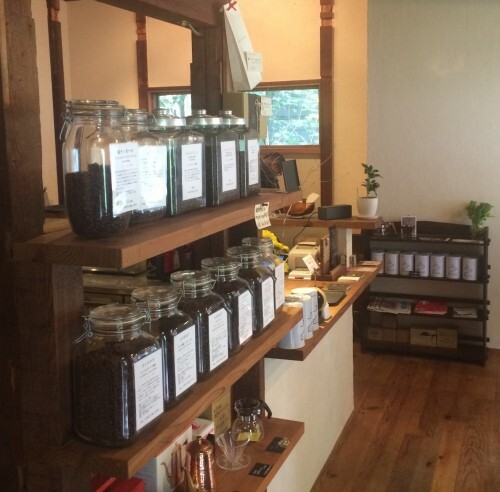 The hotel is equipped with a spa, and public baths, a local produce shop, and you will even find a small library. 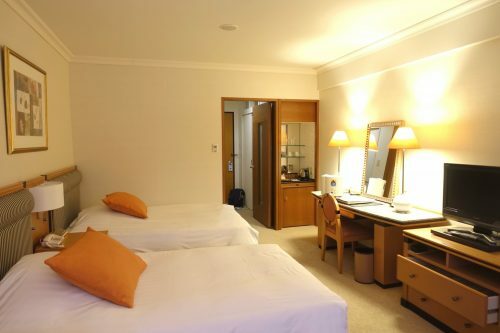 The spacious rooms have a wonderful view of the garden. If sleeping Japanese style on futon is not for you, you can get a room with large western-style beds at the Highland Hotel. 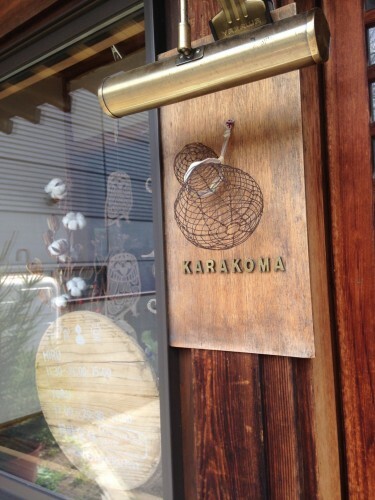 One nice detail: the refreshing tap water comes fresh from a clear mountain spring just below the hotel. The public baths are also supplied by a local thermal spring, so if you smell a bit of sulfur in the bath water, lie back and enjoy its therapeutic properties! For dinner, you can dine at a French restaurant, La Forêt, in large rooms elegantly decorated in gold and blue tones. The service was in “French classic style”; the attentive staff catering to your every need and explaining the menu items as they arrived. 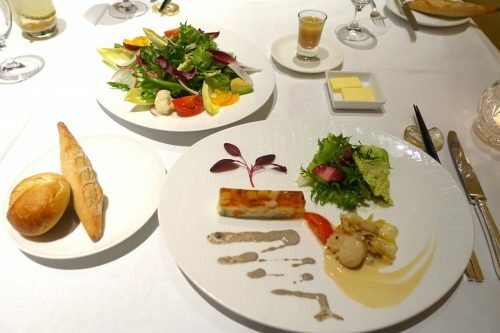 On the menu, high end ingredients are used, inspired by French Japonais cuisine such as scallops with white wine sauce or terrine with truffle sauce. 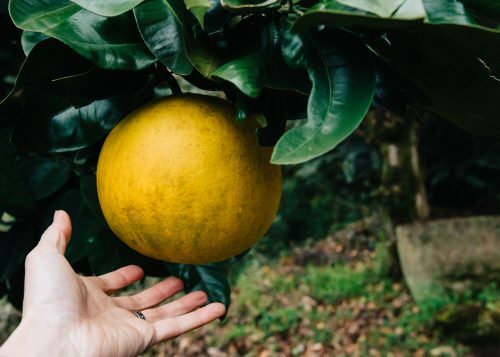 If you are looking for a good French wine to complement your meal, you may have one here, as well as local favorites like Kobe wine. The “course menu” allowed us to sample different flavors and was even adapted for my vegetarian companion.